NASHVILLE -- Nissan North America Inc. has taken legal steps to create a performance segment for its Infiniti Division product line, similar to its larger luxury rivals Mercedes-Benz and BMW. Nissan has filed for trademark protection for the names “IPL” and “Infiniti Performance Line,” according to documents on file with the U.S. Patent and Trademark Office. According to the applications, the IPL trademark would cover the brand's use of “high-performance motor vehicle parts,” including turbochargers and superchargers for engines, cat-back exhaust and muffler systems, shifter knobs, suspension parts, brakes, sports seats and off-road headlights. 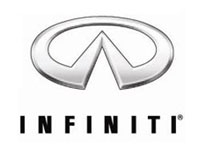 A spokesman at Infiniti's North American headquarters in Franklin, Tenn., declined to discuss the trademark filings or the brand's product plans. This month in Louisville, Ky., the vice president of the Infiniti Business Unit, Ben Poore, told reporters that he intends to reveal a new performance-oriented offering this summer. He did not elaborate. At the same time, Nissan confirmed that it is considering more use of high-output, small-displacement turbocharged engines for Infiniti. Infiniti has been at a product disadvantage among luxury brands for years. Older competitors such as Mercedes, BMW and even Toyota Motor Corp.'s Lexus brand offer a much broader model line than Infiniti. Additionally, Mercedes markets variations of its models under the AMG performance subbrand, while BMW produces performance-level M versions of some models. The performance brand options typically retail for a much higher premium. While the 2010 Mercedes S-class sedan has a base manufacturer's list price of $87,950, Mercedes' AMG Web site lists the price of the S63 AMG sedan at $133,550.